Analysts roundly panned LinkedIn Corp (NYSE: LNKD)'s 2016 outlook after the company lowered guidance in a fourth-quarter earnings report this week. The company also offered a surprise for investors in announcing it would merge the B2B marketing solution it purchased last year, Bizo, into an existing division. Traders tore the stock down 40 percent from open by late morning on Friday. Nomura analyst Anthony DiClemente maintained a Buy rating and lowered the price target from $235 to $180, citing mainly macro concerns. "We're hopeful that management erred on the side of conservatism, as it has done historically." Sales figures are encouraging, but not enough to "salvage sentiment," he wrote. Jefferies analyst Brian Pitz maintained a Buy rating, but slashed the firm's price target from $310 to $180. Pitz reduced his 2016 revenue estimate from $3.94 billion to $3.589 billion. He offered Q1 guidance of $0.55 non-GAAP EPS and $820 million, shorting the Street consensus of $0.75 EPS and $868 million. Goldman Sachs had confidence in LinkedIn's fundamentals, but thinks the company will need to wow investors before they'll get behind the stock again. 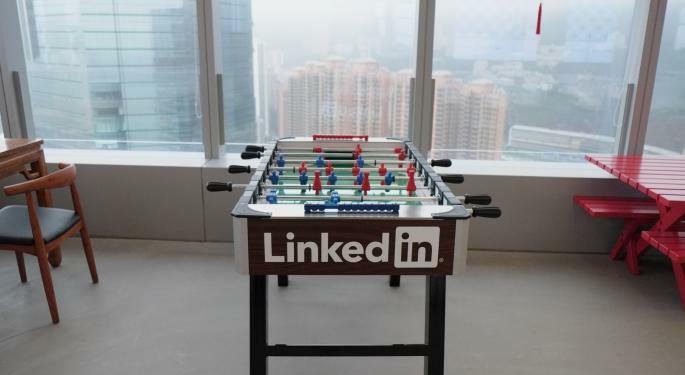 Sachs analyst Heath Terry called LinkedIn "one of the most valuable assets in Internet" and noted the company had significant potential for user growth and monetization. Despite that assessment he lowered the firm's price target from $280 to $200. Terry also lowered revenue and EPS estimates from $4.02 billion to $3.74 billion and a loss of $0.49 to a loss of $2.76 a share. Credit Suisse Analyst Stephen Ju maintained an Outperform rating, dropped his price target from $330 to $230 and decreased the revenue estimate to $3.57 billion. Ju wrote that he would buy into the weakness if strong corporate customer sales continue. However, LinkedIn management announced it will no longer report that metric as their customer base diversifies. Ju offered first-quarter rev. estimate of $820 million versus previous $868.3 million. He offered earnings estimates for Q1 of $0.56 and $3.05 for the year. "We expect investors will demand financial outperformance before meaningful recovery," he concluded. 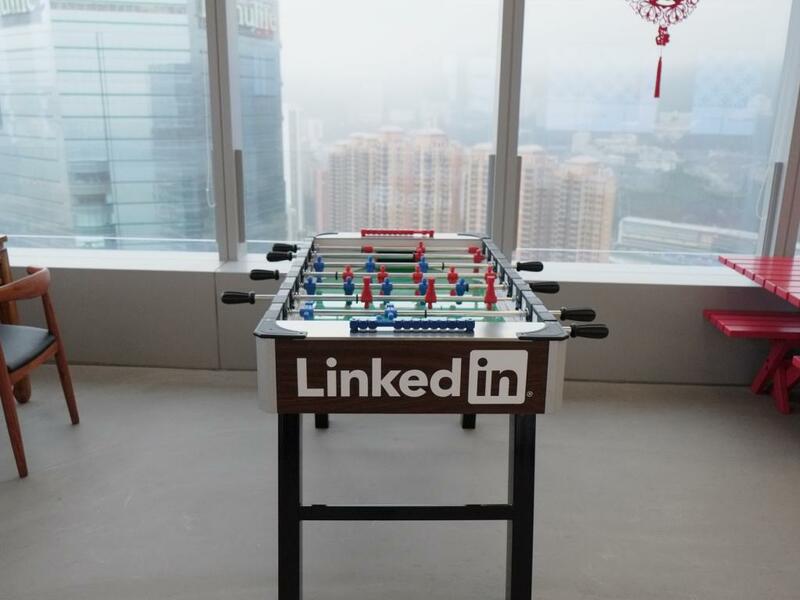 According to Macquarie analyst Tom White, LinkedIn has an "essentially healthy core." 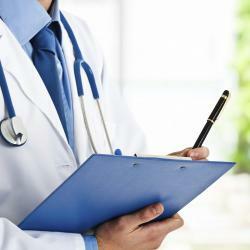 He affirmed an Outperform rating. The firm lowered price target from $260 to $225 and put up 2016 estimates of $3.71 billion in revenue and $3.24 EPS. White noted that key metrics "generally solid," pointing to fourth-quarter revenues that surpassed his firm's estimates. However, management's guidance is "disappointing" to him. White also viewed the "big surprise" of LinkedIn's plan to merge its business-to-business marketing division into its sponsored updates section unfavorably, noting that it might overshadow its healthy metrics. "LNKD's reputation as a steady executor will take another big hit following negative surprises in three of the four quarters of 2015," White concluded. One firm was bolder in its assessment. Pacific Crest analyst Evan Wilson said, "Our confidence is shaken" as LinkedIn moves away from Bizo. He wrote that management's decision was a "gigantic mistake" because it reduces the amount of potential monetization options LinkedIn has for its extensive data set. He ended that section of his note with unmistakable disdain: "Ugh." Despite the strong words, Wilson did cede that LinkedIn has a "very strong competitive position" even if it "rarely gives investors a reason to own in the first half of the year." The firm maintained an Overweight rating, lowered its price target from $280 to $190 and lowered its 2016 revenue forecast by $178 million to $3.9 billion. LinkedIn shares were in the Street's gutter Friday morning, down 42.45 percent at $110.85 from an open of $125.34.